any one of the [url=http://www.d-addicts.com/forum/torrents.php?search=devil+beside+you&type=twdrama&sub=View+all&sort=name]torrents[/url]is fine. do one or as many as you feel comfortable doing. thanks! this is not a thread to be asking for seeds...please request in the seeding forum. habukie wrote: this is not a thread to be asking for seeds...please request in the seeding forum. i didnt realise there was a seeding forum before.. but i can see it now!! .. Thx! I can seed Green Forest (YDY) and The Proud Twins (Jem). Well, if you have any c-dramas listed in the first post, you could help seed them when it wins for the csotm...that way people get a chance to see old dramas that weren't well seeded. Hmm... looks like everyone's already doing it, but I've been seeding Green Forest, My Home (YDY) for about a week. Will probably keep seeding for another two weeks before I burn the series onto a disc. you waste my time JERK!!!!!!! inuyasha101 wrote: you waste my time JERK!!!!!!! you might want to explain yourself. 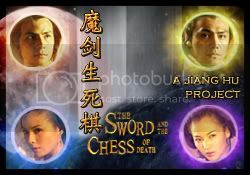 I'm wondering why Return of Condor Heroes 2006 doesn't make it into the next CSoTM. I think it's a good series. Any conflict of interests? Edit: In addition, JTV's Monkey King is NOT completely translated. They only translated the series up to episode 21. The rest are released raw. They dropped the project. ^^thanks, abcd99. i have added your name to all the series you mentioned above and in the CSoTM thread. are you asking why ROCH 2006 isn't on the list or why it hasn't been a candidate for the CSoTM? as for why it isn't on the list, probably because none of the Airen members noticed it was completely subbed and added it. but also, because no one's volunteered to seed. if anyone volunteers to seed a series, then it's automatically added, isn't it? as for why it isn't a candidate...well, it doesn't have any volunteer seeds, right? thanks for the info on Monkey King. i think that would probably make it invalid as a CSoTM candidate, but i'll confer with the other Airen members first before removing it. Re Monkey King, I have Jtv's eps up to 21, 22-35 I have Jem's. I don't know if that is the complete series but I imagine that a number of people out there will have a complete English Subbed set. Either Jem's or a combination. Jem has the complete set. JTV does not. But JTV's source is from Cantonese (i.e. the series' original language) and has traditional Chinese subs, while Jem has it in Mandarin. So things have their own plusses. That would explain why I have it the way I do. Put me on Dragon Love but take me off Tian Long Ba Bu, seeing there are many seeders already. Awesome. I will upload Happy & Lucky. Thanks, airhead. Just wanted to contribute what I can since I was able to enjoy so many dramas thanks to you guys/gals. Also, note that since JTV is dumping their torrents here in D-Addicts, their version Monkey King is incomplete for the time being. ^^thanks everybody. the list has been updated. Anybody knows where can I download english subtitle for Monkey King - Quest for Sutra? I have downloaded but there are no subs. Only chinese subs. And according to Kai Lien's, there should be english subtitle. Can anybody send me the file or link where I can download the files? Thank you. squall15 wrote: Anybody knows where can I download english subtitle for Monkey King - Quest for Sutra? I have downloaded but there are no subs. Only chinese subs. And according to Kai Lien's, there should be english subtitle. Can anybody send me the file or link where I can download the files? Thank you. please read [url=http://www.d-addicts.com/forum/viewtopic_p559923.htm#559923]this post[/url] for more info as well as some of the ones underneath. Oh, I guess I missed that one. Thanks for the info tho. I can seed DBY (YDY version only) and ISWAK (the version hosted on this site, which is mostly YDY with some IceFish). I burned them off my computer as regular computer files when I bought the real DVD sets, but they should be relatively easy to relocate if the need should ever arise. I also have half of Marmalade Boy (I also bought that real set), but it's better than nothing. I can seed that much. Since I finished the subtitling effort of [url=http://www.d-addicts.com/forum/viewtopic_35953.htm]Warriors of the Yang Clan[/url], I promote that as the Series of the Month! Of course I'm willing to seed that series. abcd99 wrote: Since I finished the subtitling effort of [url=http://www.d-addicts.com/forum/viewtopic_35953.htm]Warriors of the Yang Clan[/url], I promote that as the Series of the Month! Of course I'm willing to seed that series. That's a great wuxia series. It should be CSOTM. snowstorm, it would be great if you're willing to seed this series as well so that it's eligible to be nominated as the Series of the Month. abcd99 wrote: Since I finished the subtitling effort of Warriors of the Yang Clan, I promote that as the Series of the Month! Of course I'm willing to seed that series. i think it's a beautiful series that should win CSOTM! i've been wanting to get my hands on it too because of shuai ge Alec and it'd be great if there were more seeders. I nominate Sword Stained with Royal Blood for CSotM. I'm willing to seed it. abcd99 wrote: I nominate Sword Stained with Royal Blood for CSotM. I'm willing to seed it. Jiang Hu Projects // PM me or khmai_kandi22 to join Jiang Hu. Great! So, Sword Stained with Royal Blood is eligible for CSotM nomination! I nominate Sword Stained with Royal Blood too. Just gotta clear up my hard drive. SEEDERS PLEASE CONNECT YOU PLEASE !!!!!! This is not the thread for asking for seeders.... and also Kindergarten Love is a Kdrama not a Cdrama. You are way off base sweety. That's a korean drama and not a chinese drama. This isn't the thread to request for seeders either. It's to nominate a chinese drama for series of the month. Please take my name off from all CSotM series as I do not want to participate in it anymore. I will still honor the seed request for September 2007 CSotM. @abcd99: obviously, i'm sorry to hear that, but i'll do as you ask. thanks for all your help now and in the past with seeding these CSoTMs. and to everyone else, this is a thread for volunteer seeds, please. you can always nominate in the CSoTM threads. thanks! any kind soul mind seeding The "W" files ._.? 2) Would like to nominate Young Warriors of the Yang Clan (42 ep h/s) but I can seed only from ep 4 onwards). I can seed feck of jem's wuxia drama ..
Rax wrote: Hi gays & gals.. If you can list the dramas you are willing to seed, I will add you to the list. That will make many more series possible for selection. I would like to nominate Young Warriors of The Yang Clan. My files are from here: http://www.d-addicts.com/forum/viewtopic_50255.htm . It's with English subtile. This series is really good and deserve a better exposure. I can help with the seeding. Besides that, I can also help in seeding Heavenly Sword and Dragon Sabre 03. I would like to nominate At Dolphin Bay. I would like to see it. 2) Would like to nominate Young Warriors of the Yang Clan (43 ep h/s) but I can seed only from ep 4 onwards). Update: I can now seed all 43 ep (HS version uploaded by DevilSlob). 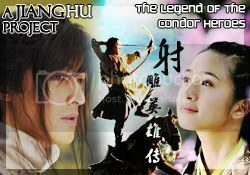 I will seed Return of the Condor Heroes 2008 featuring Ariel Lin and Hu Ge. When the entire SRT's are out for the softsubbed eps for Fairy from Wonderland (Tian Wai Fei Xian) featuring Ariel Lin and Hu Ge, I will be seeding those as well. I am seeding only the subbed english eps for 100% Senorita which are available. itsonlykat wrote: I would like to nominate At Dolphin Bay. I would like to see it. I can seed Love at the Dolphin Bay. I can also help seed Le Robe De Mariage Des Cieux but I notice a (newer) batch file which contains only hard-subbed ep. I have the complete series but only a few ep are hard-subbed while the others are soft-subbed. p/s sorry, I won't seed Dolphin Bay. There are several volunteer seeders already. Woah, its been a long time since this thread's been updated.. but.. I can seed all eps of Fated to Love You. Yes it has been a long time! I've added Fated to Love You to the list, thanks for the support. We need somebody to mod this series of the week so are looking for volunteers.